The sole model made and sold by Leesa Sleep is a 10" high memory foam mattress with three layers: Avena® foam, memory foam, and polyurethane foam. One unique feature is the cover, which made from one piece of fabric, not separate pieces. 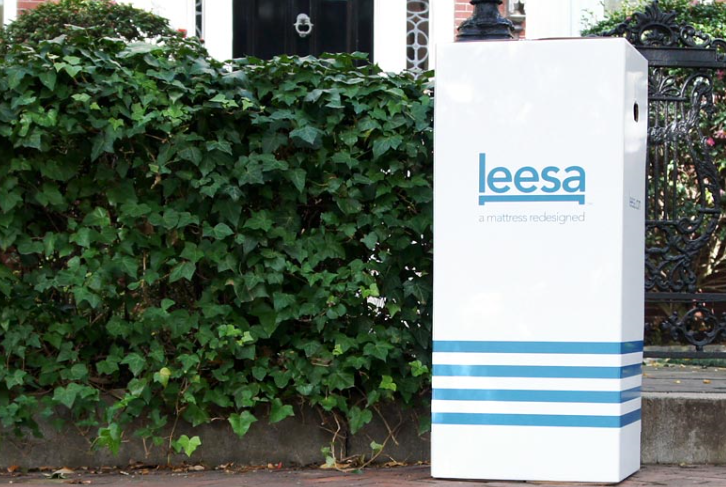 The one-piece cover of the Leesa mattress is a woven polyester-lycra blend. Though not knit, the lycra gives it enough elasticity to be conforming, neither binding nor bunching. The Leesa signature in the cover is the series of four stripes. Being one piece, the top edge is seamless, with no discomforting ridge. 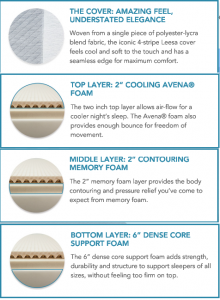 The top layer of the Leesa mattress is a 2" slab of Avena foam. 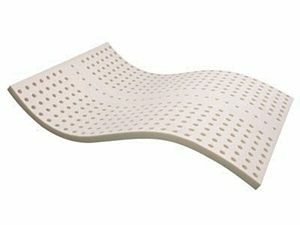 Developed by Carpenter Company, it has properties of both latex and memory foam. It has been rated as more durable than latex, and cooler than memory foam. The middle layer, also 2" high, is memory foam. Memory foam was developed for pressure relief. It also provides lumbar support and isolates motion. The third layer of the Leesa mattress is the 6" support core. It is composed of high-density polyurethane foam. The role of this layer is to supply firm support to the entire mattress and the sleeper(s) while the other foams cushion. 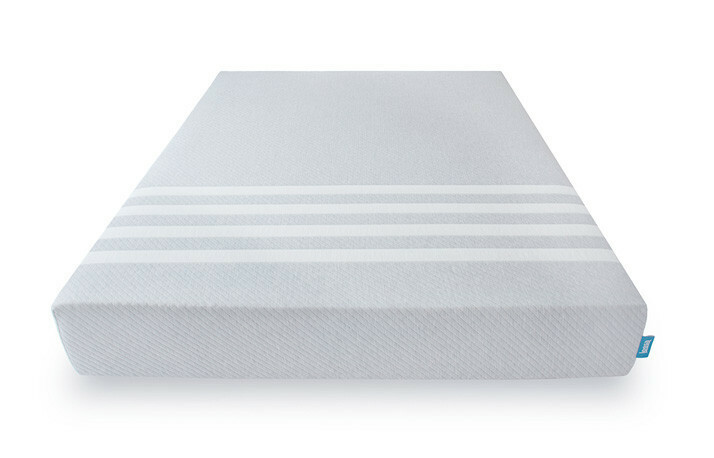 This mattress is available directly from Leesa Sleep, online or by phone. Shipping is free, and Leesa has a 100 night risk-free trial with no charge for returning the mattress, except for customers in Hawaii and Alaska. The limited warranty is for 10 years. The Leesa mattress is also available through Amazon. However, when bought through Amazon, it is only for 30 days. This mattress by Leesa Sleep is a 100% made in the USA product. It is designed in Virginia and made in Pennsylvania. The cover fabric is woven in North Carolina, and the shipping box is made in Indiana.